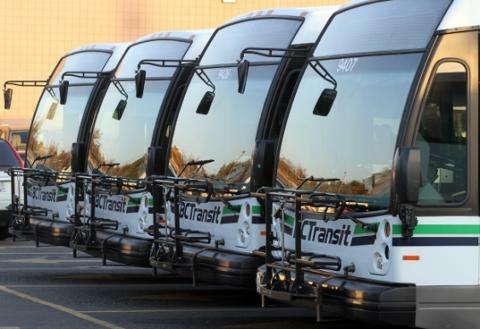 File image courtesy of BC Transit. CAMPBELL RIVER, B.C. – Route changes are coming to the #7 bus this spring. According to a release from the city, there will be more options for passengers travelling towards downtown and to the hospital on the #7. The City of Campbell River requested increased services along Ironwood Street, as well as improved access to the Discovery Shopping Centre. The city stated in the release that more stops will be added along the route, which will provide better service for seniors living in the area. The route changes are expected to come into effect by the third week of April 2019. The release also stated that BC Transit and city staff are working with Island Health to reroute bus traffic through the hospital parking lot to drop off and pick people up at the entrance. Adjusting the hospital stop will keep the bus route on Birch Street as it travels toward Merecroft, which will offer better access to the Alder Medical Clinic. The route change comes after seniors in the Ironwood area launched a petition asking to make the route more accessible, especially coming to and from the hospital.